Pest Prevention, not pest control. Pests are always active and continually seeking food and shelter. Our program prevents pests from getting inside. Termite Protection: Customized to your home’s needs that protects the structure and contents of your home, and includes a guarantee that covers the cost of re-treatment and repair of any new termite damage. Landscape Care: Customized for the needs of your landscape, our year-round program is focused on preventing seasonal problems in cooler weather such as broadleaf weeds and brown patch. Irrigation Maintenance: Proper irrigation reduces water waste up to 30% and helps prevent costly landscape damage all year long. Mosquito Service: Targets areas where mosquitoes live and breed around your property. 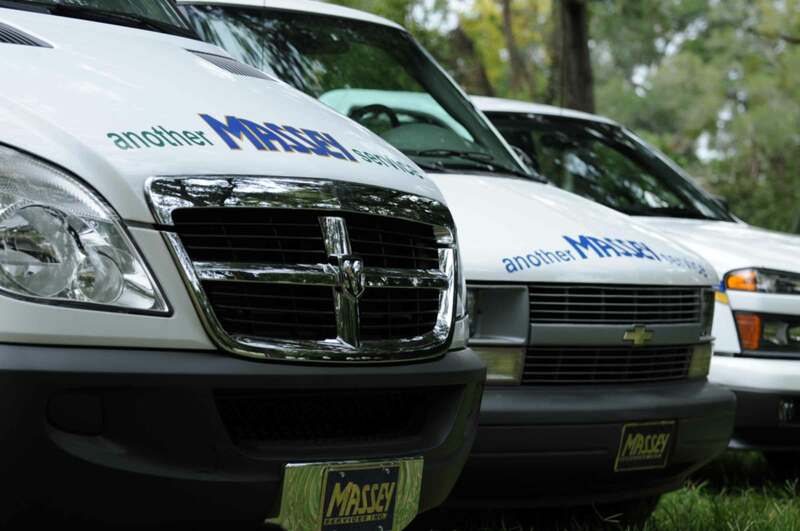 Massey Services employs approximately 2,100 team members and operate 1,800 vehicles that provide residential and commercial pest prevention, pest control, termite protection, landscape care and irrigation services to over 600,000 customers from Service Centers throughout Florida, Georgia, Louisiana, Texas, South Carolina, North Carolina and Oklahoma. With nearly 35 years of superior service, Massey Services is built on the promise of total customer satisfaction. That includes quick response time, environmentally responsible programs, detailed and customized service, trained experts and guaranteed satisfaction. If you’re not 100% satisfied with any of our services, we’ll keep coming back until you are. That’s why you can expect more…and get it. Over 30 years of superior services and guaranteed customer satisfaction. Watch out for these active issues near you! Check out our seasonal tips to get your lawn ready for warmer weather. Great Service. Guaranteed. It’s our mission. It’s our passion. At Massey Services we are committed to providing GREAT SERVICE that protects your home and business against damage caused by termites, prevents unwanted & unhealthy pests and makes your lawn and landscape greener, healthier and beautiful! We believe in Total Customer Satisfaction, which is why you can expect more…and get it!